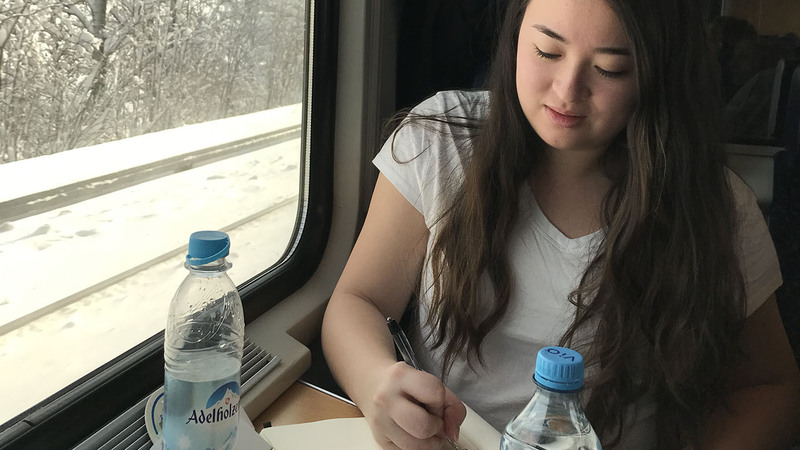 A train ride from Germany to Italy through snow-covered Alps. 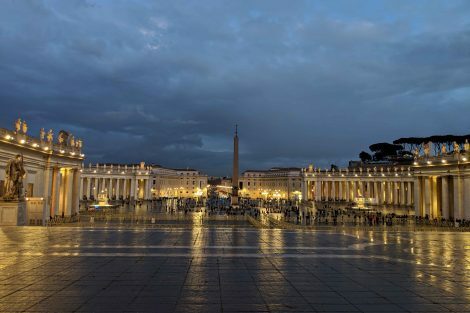 The Pope’s blessing in St. Peter’s Square. Gazing clear blue sky through the oculus of Rome’s magnificent Pantheon. 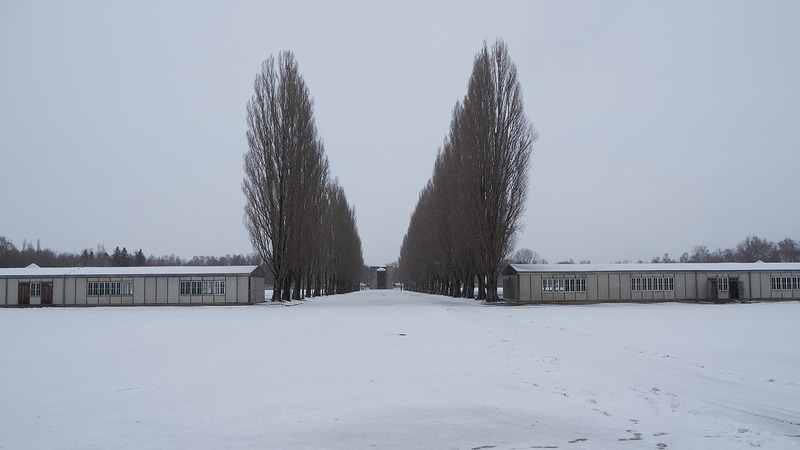 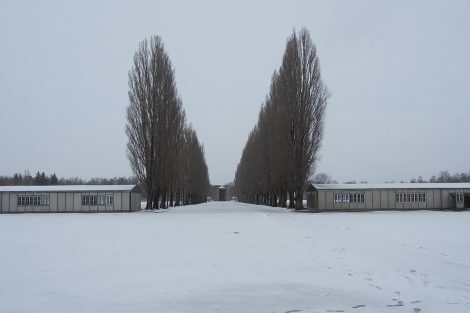 A somber visit to the concentration camp of Dachau. Walking through the once-volcanic ash-buried streets of ancient Pompeii. 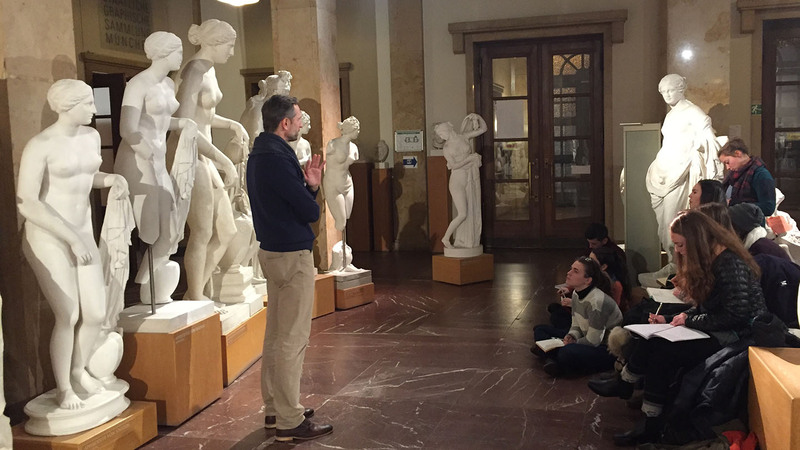 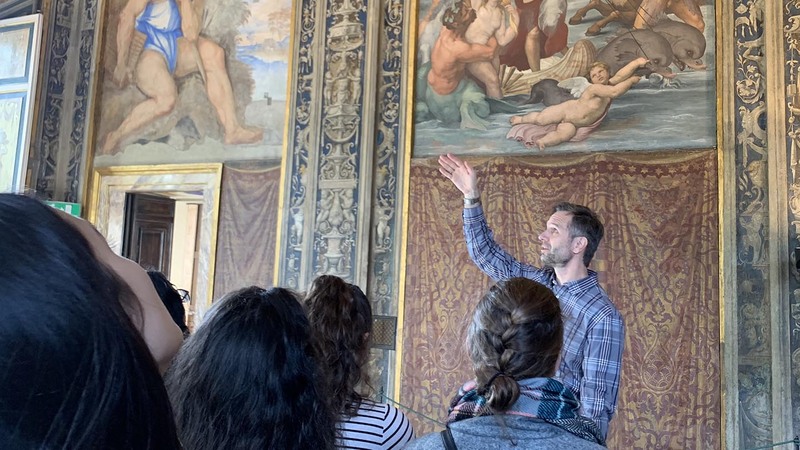 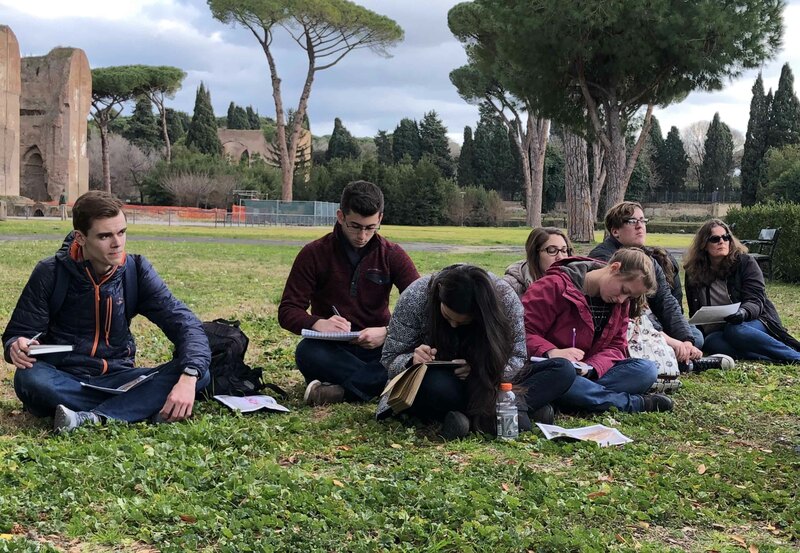 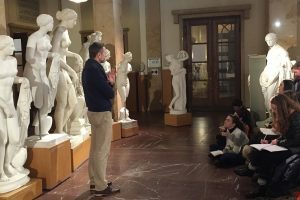 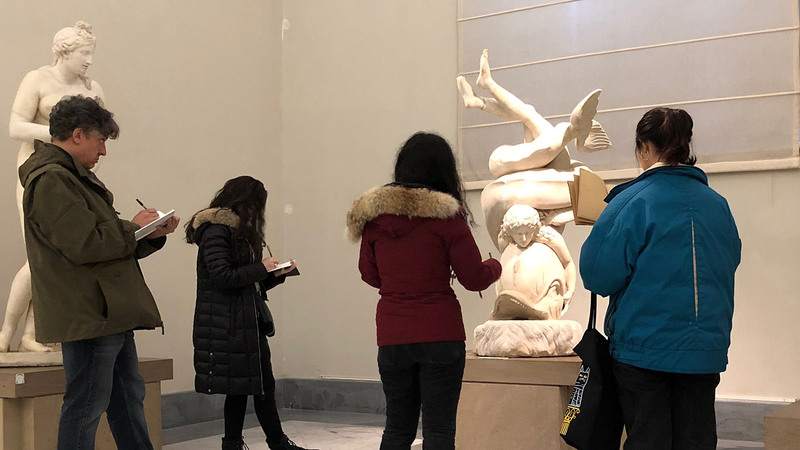 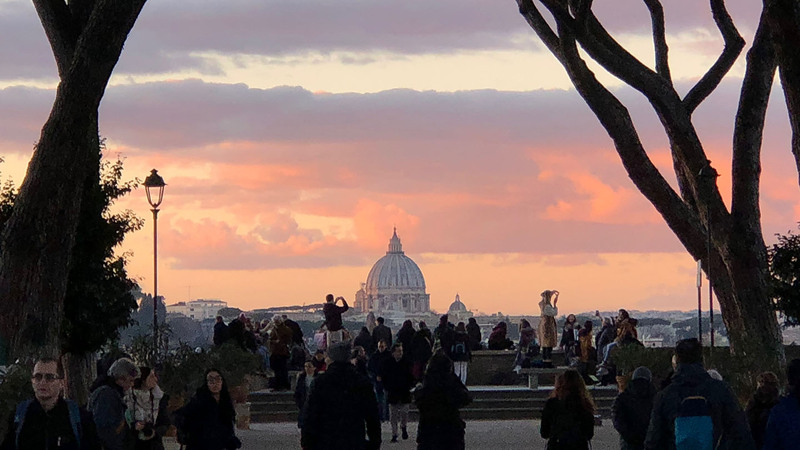 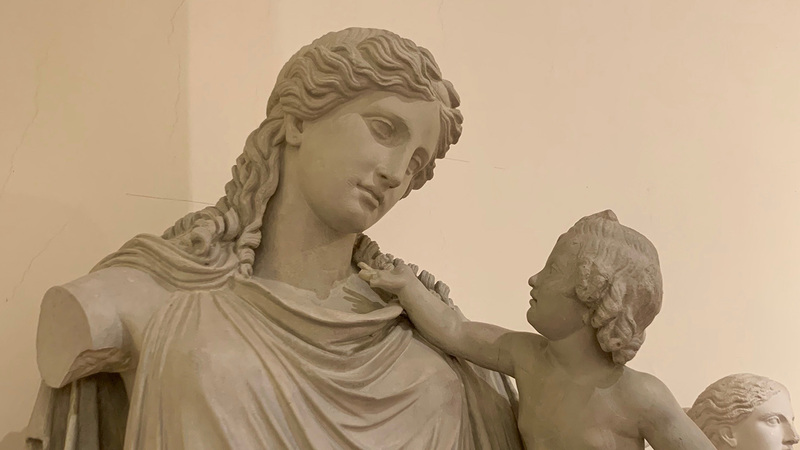 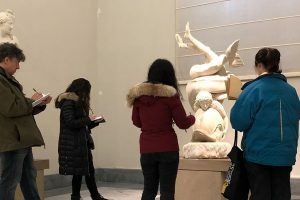 These are some of the highlights 24 students experienced in the interim course “Journey to Rome: Approaching and Exploring the Eternal City” led by Markus Dubischar, associate professor of classics and Charles Elliott Scholar of Roman and Greek, and Nestor Gil, associate professor of art. 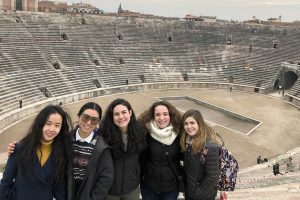 The 19-day journey combined classroom sessions with extensive archeological, cultural, and art-historical excursions. 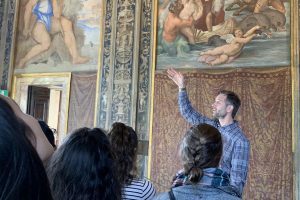 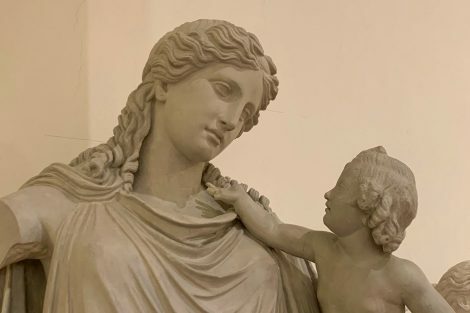 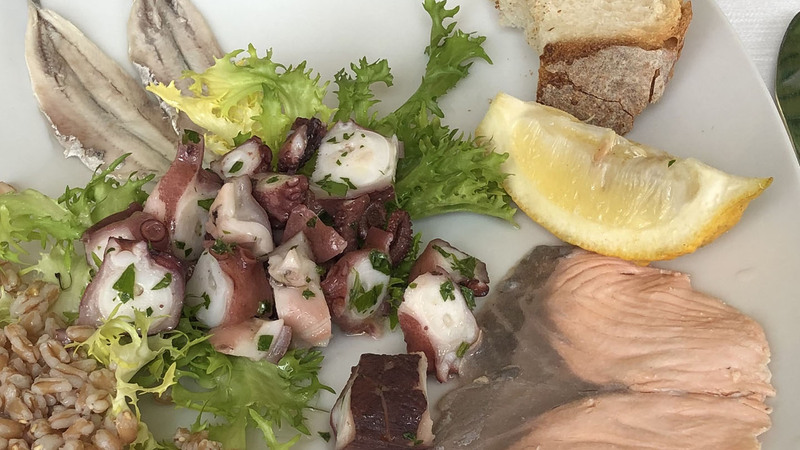 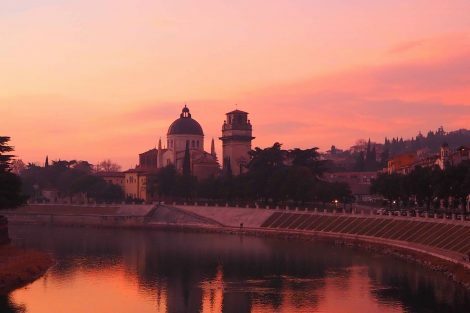 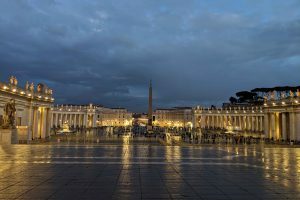 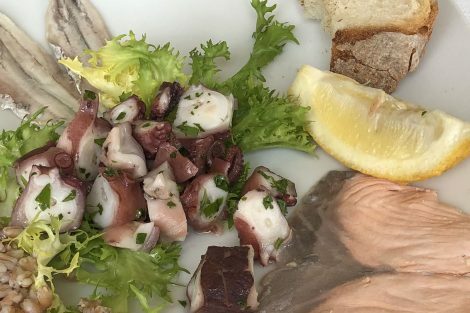 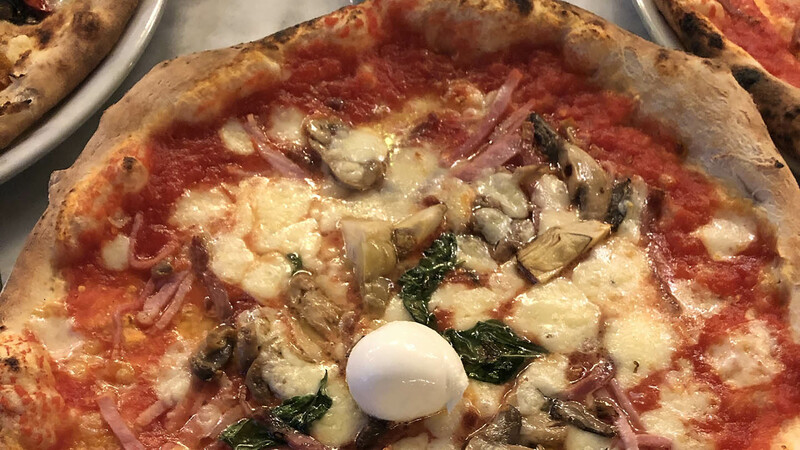 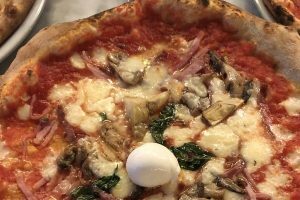 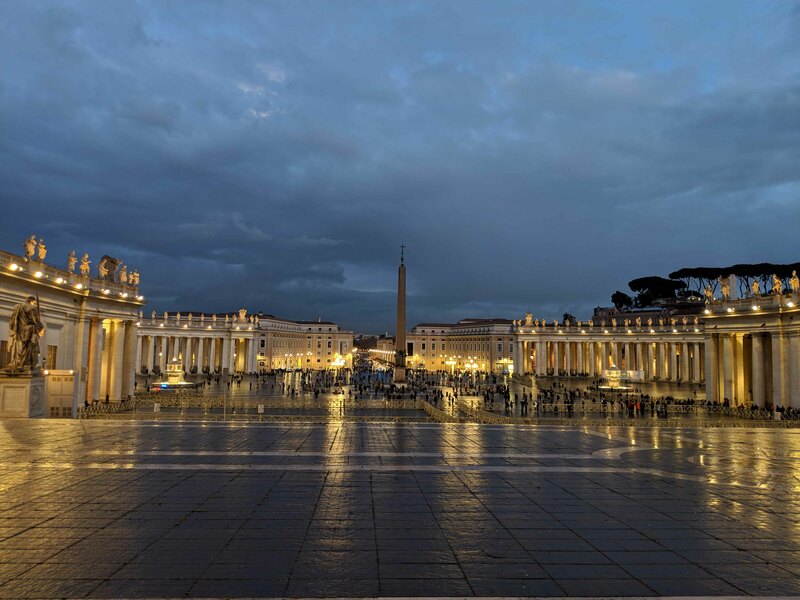 By following a centuries-old travel route from Germany to southern Italy, it sought to recreate the transformational experience noblemen, intellectuals, and artists pursued by traveling to the Eternal City during the 18th and 19th centuries. 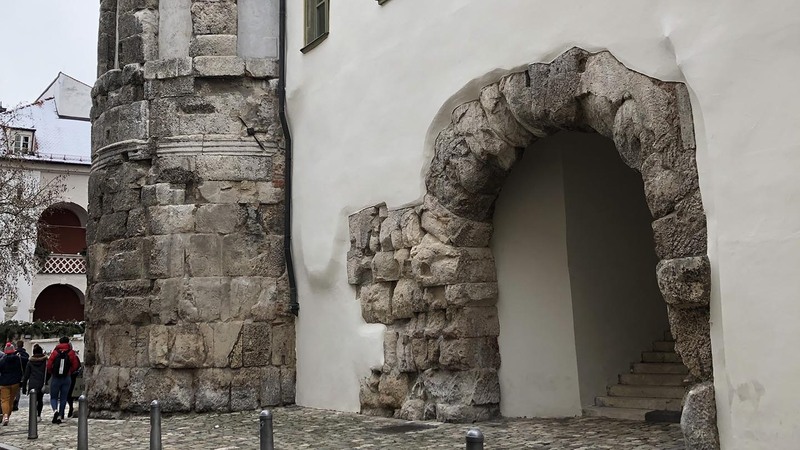 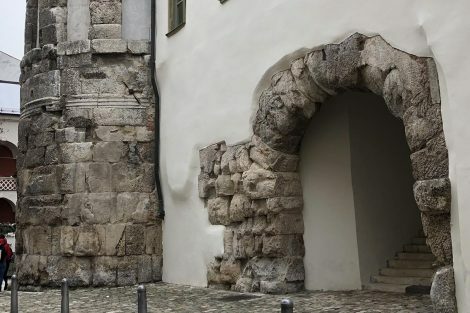 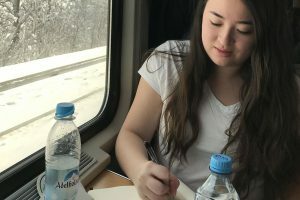 “During our journey through the Alps, the urban architecture melted away, revealing snow-capped mountains and villages laid low in frosty basins under the soft glow of the morning sun,” says Molly Morris ’21, a classics major and art history minor. 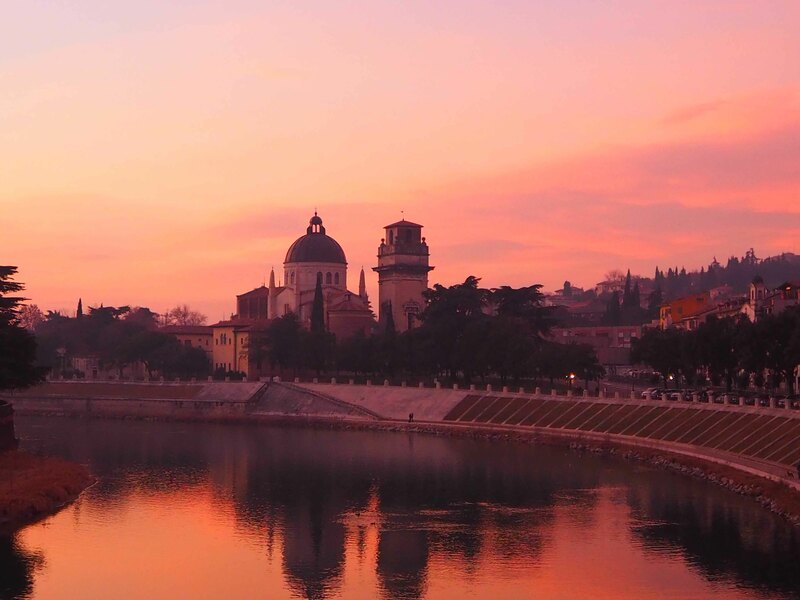 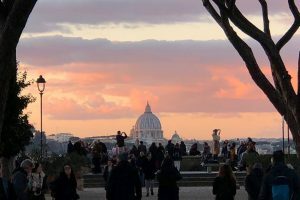 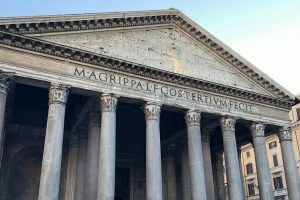 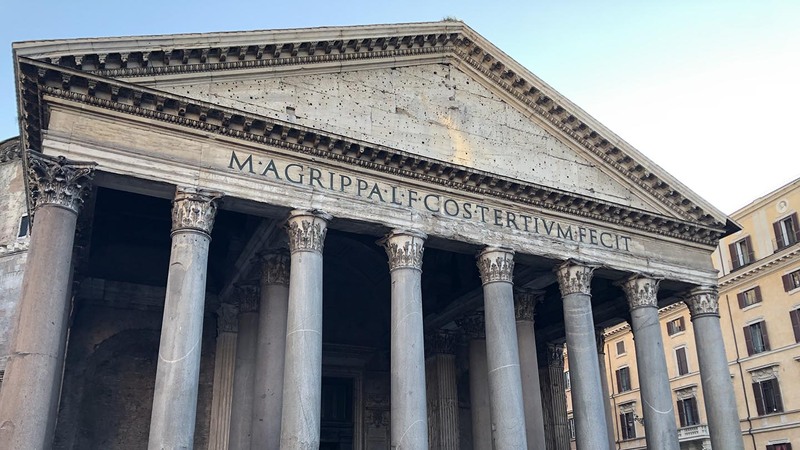 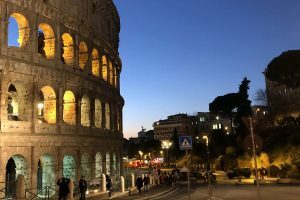 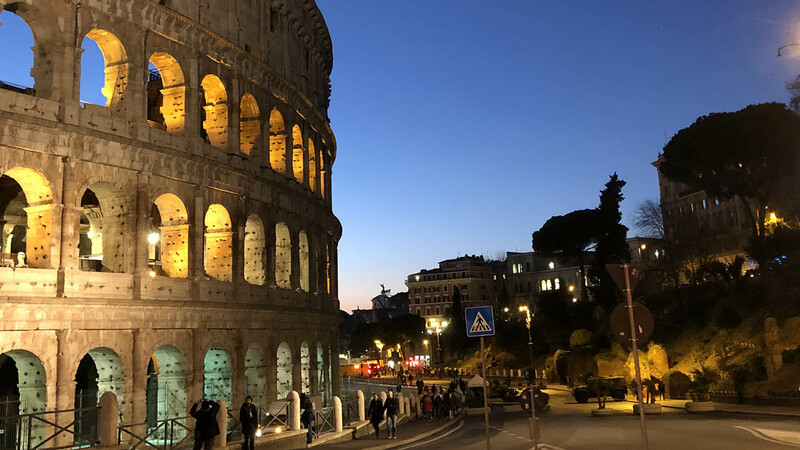 “I actually prefer the amphitheater in Verona to the Colosseum in Rome because the seats are still intact, allowing people to interact with the architecture in ways resembling those of the past,” says Angela Shi ’21, a computer science and comparative literature double major and music minor. 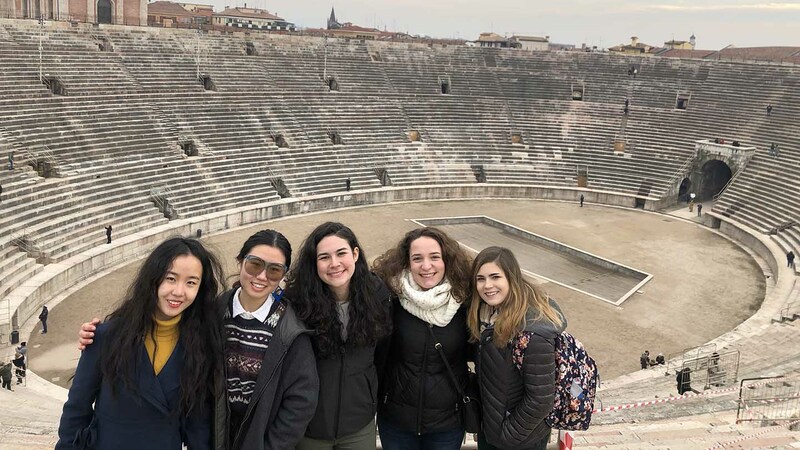 “As I stood on ‘Juliet’s’ balcony and later watched the sunset from a hill across the river, I understood how the city could make someone feel in love,” says Emily Emick ’20, an economics and music double major and mathematics minor.